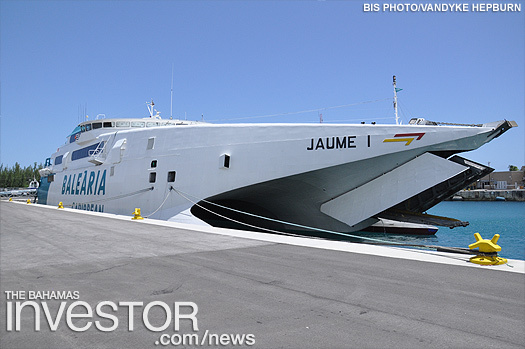 The Jaume 1 ferry arrived in Grand Bahama July 19, 2016 bringing some 500 passengers to Freeport Harbour. The ship has a capacity of 600, 200 more than its predecessor. 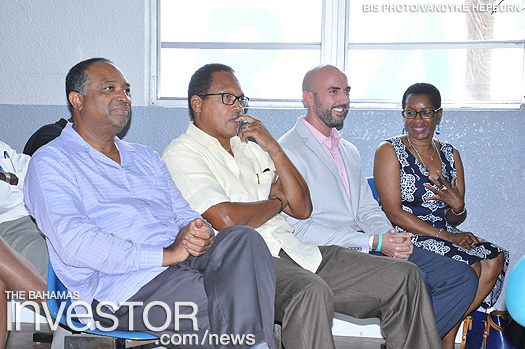 On hand to welcome the ship was permanent secretary of the Ministry for Grand Bahama Melvin Seymour, along with members of the Ministry of Tourism team, headed by Betty Bethel, director of Ministry of Tourism, Grand Bahama. 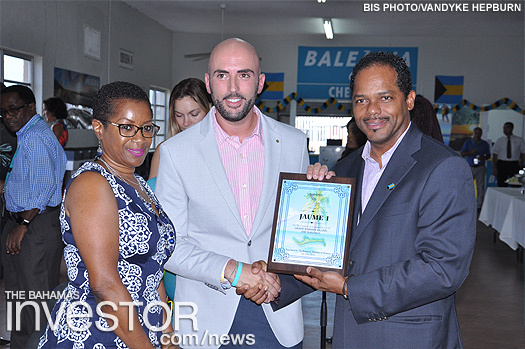 During a brief ceremony, there were plaque exchanges between the various stakeholders.